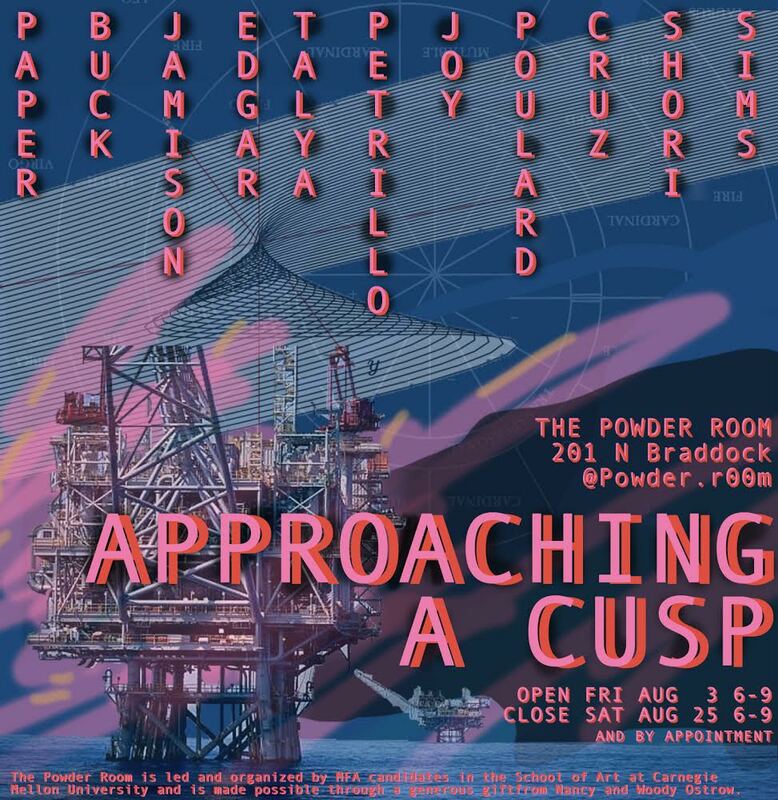 On Friday, August 3rd, from 6 - 9 p.m., a new group exhibition, Approaching A Cusp, will open at the Powder Room. The show features works by Paper Buck, Joy Poulard Cruz, Jamison Edgar, Talya Petrillo, and Shori Sims, each exploring concepts of threshold, passage, and becoming, across politicized affective landscapes. Entering it's second year of programming, the Powder Room is led and organized by MFA candidates in the School of Art at Carnegie Mellon University, and is located at 201 N Braddock Avenue.